Did you know that 88% of Americans eat turkey on Thanksgiving? Turkey happens to be one of my favorite meats so I think it’s kind of funny that it has to be relegated to being eaten only on one day of the year, but who am I to argue with the masses? Is it weird that I’ve been eating turkey leftovers everyday for the last 5 days? It’s because a.) I love turkey and b.) we did a lot of tests to get this Instant Pot turkey breast right. 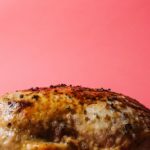 Most of the recipes I saw online when I searched for “instant pot turkey breast time per pound” had the breast in the pressure cooker on high from anywhere from 25 minutes to an hour. That seemed like entirely too much time to me. We did a couple of tests and it turns out that 6 minutes per pound of boneless breast is the winner. 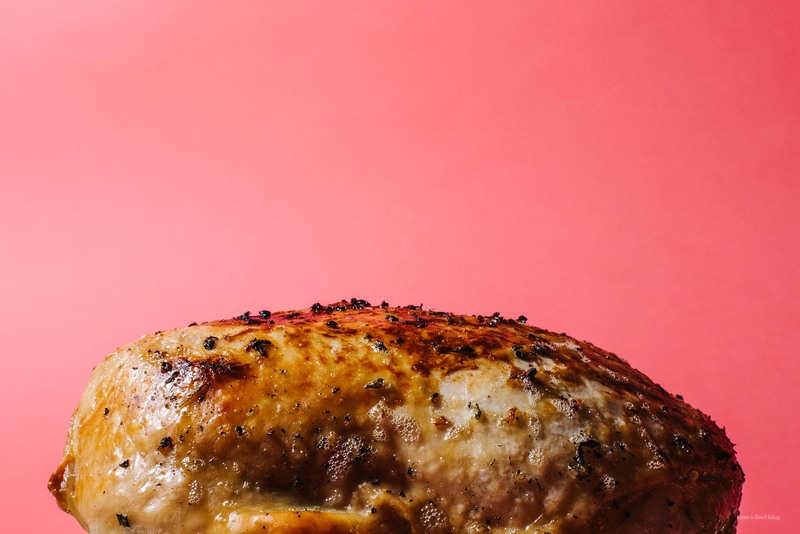 Six minutes per pound seems like the magic number for supremely juicy turkey without that weird stringy texture you get when you cook poultry for too long. I haven’t tried pressure cooking whole turkey legs yet because I love the way breasts look (heh heh) but I’m thinking that legs are going to be next on the experimenting block. 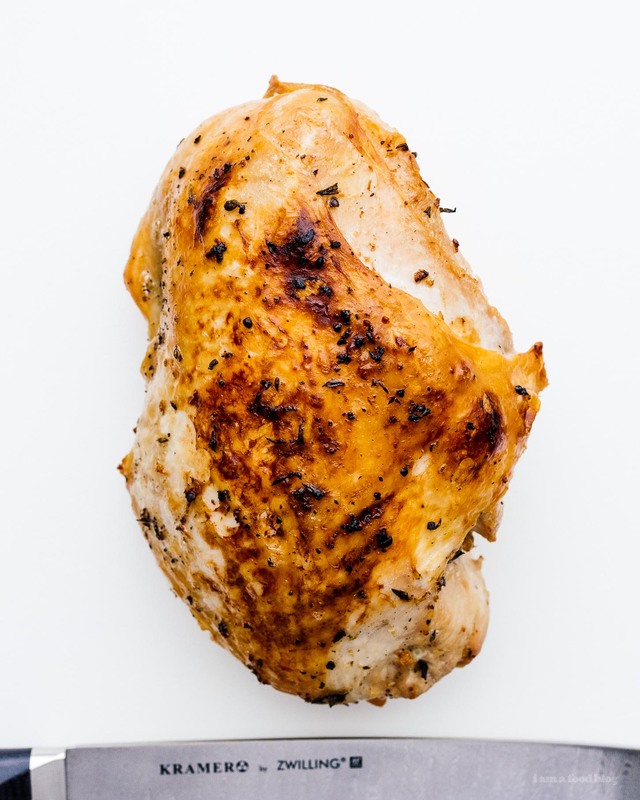 If you’re worried about how pressure cooked turkey breast looks, don’t worry too much because if you give your cooked turkey 2-3 minutes under the broiler, you get that golden brown skin that you associate with a good bird. If you don’t have a broiler or don’t even like turkey skin (you monster! ), then you can skip that step all together. 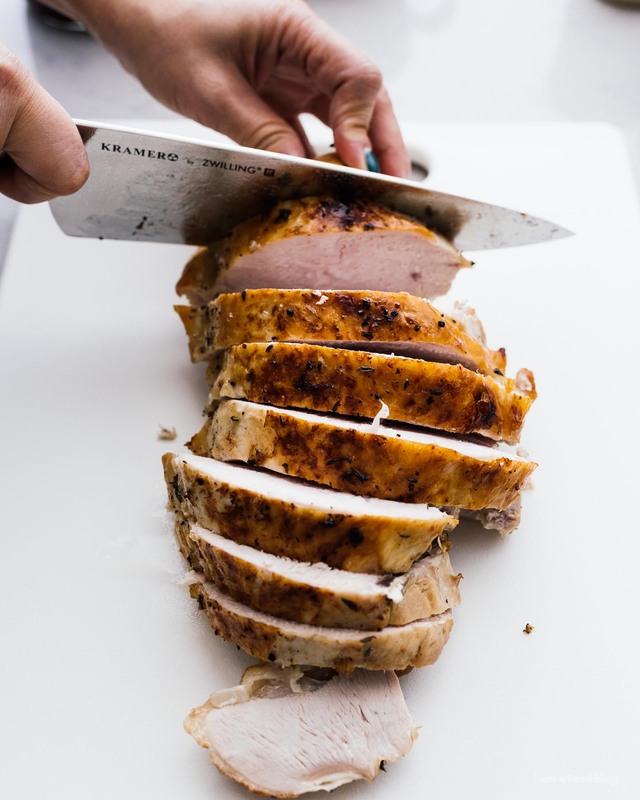 Twenty minutes, five ingredients, and one awesome turkey breast. I’m seeing a lot more turkey in my future! In a small bowl, mix together the butter, garlic, and herbs. Season all sides of the turkey breast generously with salt and freshly ground pepper. Rub the turkey with the herb butter. Pour the chicken stock into the Instant Pot insert and set the steam rack that came with the pot inside. Place the turkey on the rack and cook on high pressure for 6 minutes per pound of turkey. Quick release when done. Carefully remove. If desired, broil in the oven on high for crispy skin, about 2-3 minutes. Slice and serve. Notes: Our turkey breast was 2.3 pounds and we used a package of poultry herbs that had thyme, rosemary, and sage. You’ll probably only have a little bit over 1/2 cup of stock from the turkey, pour whatever you have into a liquid measuring cup and top it off with low sodium chicken stock. Set aside. Melt the butter over medium low heat then stir in the flour. Cook, stirring occasionally until lightly golden brown. Slowly stream in the stock/drippings while stirring. Bring to a simmer and let reduce and thicken slightly. Taste and season with salt and pepper. 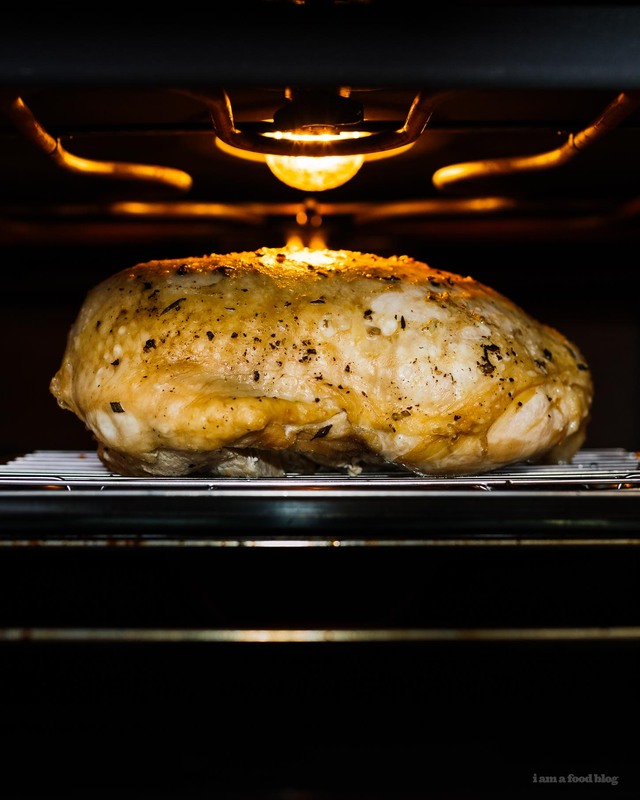 If you broiled your turkey for crispy skin, there will most likely be some brown spots on your roasting dish. Deglaze with a bit of hot water, whisking the brown bits into the water. Pour into the gravy for color, if desired. Notes: Gravy made with butter instead of roasted fat tends to be on the lighter side – if you want a classically brown gravy, you’re going to need to boost this with a little bit of roasted fat. I simply deglazed the sheet pan that the turkey was broiled on with a bit of hot water and added it to the gravy for a bit of extra color.